National Apprenticeship Week 2018 – Tameside Careers, Apprenticeships and Aspirations! 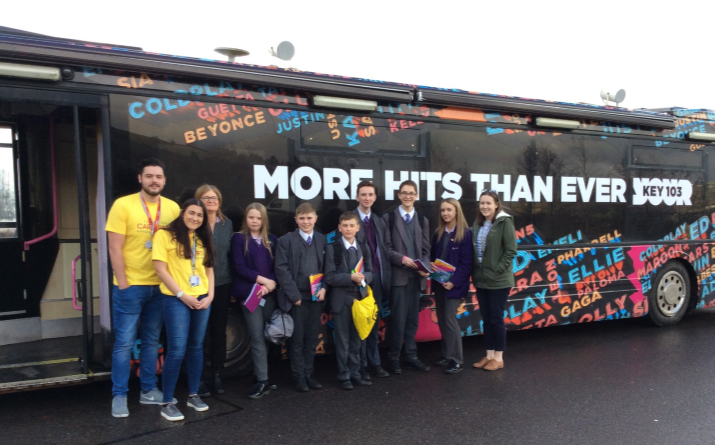 To celebrate National Apprenticeship Week 2018 Tameside Council organised the Key 103 Bus to attend Mossley Hollins High School to deliver Apprenticeship information, advice and guidance workshop. Throughout lessons 1-4, 35 Mossley Hollins pupils from years 8, 9 and 10 met with a Positive Steps Careers Advisor to learn about apprenticeships, labour market information and discuss their career aspirations. Mossley Hollins is teaching future Mechanics, Electrical Engineers, Barristers, Landscapers, Nurses, Physiotherapists, Builders and much more. These are Tameside’s future workforce and entrepreneurs. Tameside Council aims to support all schools in ensuring pupils receive quality information, advice and guidance, as it is key to ensuring they choose the right pathway to achieving their goals. The Growth Company and Tameside Council Apprentice Ambassadors also shared their apprenticeship journeys with the pupils. Pupils left the day with 5 facts about apprenticeships and an understanding of how other young people, just like them have carved out careers using the apprenticeship pathway. To end the lesson, each group interviewed one pupil about their chosen career path and a mock radio interview was recorded. The school will receive the edited recordings and the pupils will have a lasting record of their goals prior to leaving school.